fw: 14-17mm; Jun-Aug; lichens and algae; common in England and Wales, more local in Scotland. 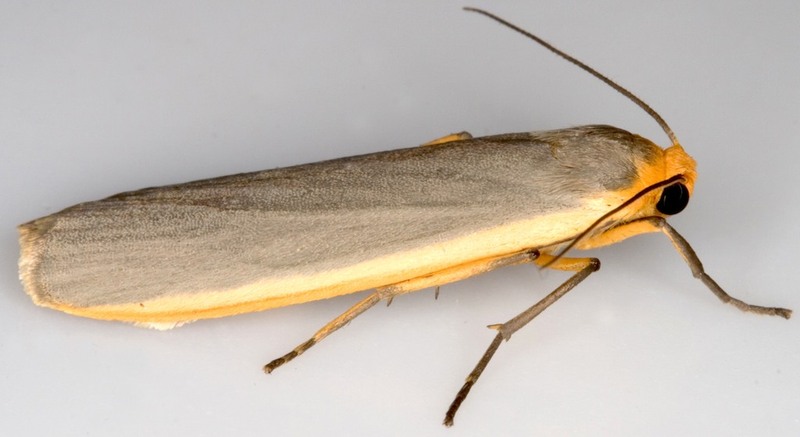 ID: This species and E.complana (Scarce Footman) both have a dark grey forewing with a strongly contrasting yellow costal stripe and a pale straw hindwing. 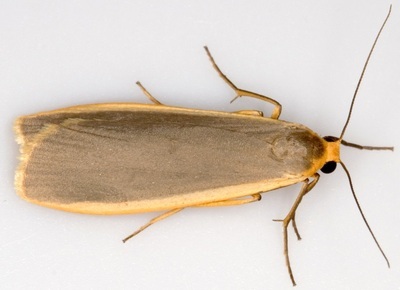 E.lurideola rests with forewings slightly curved over body so that the costa is more or less in the same plane as the substrate; E.complana rests with forewings tightly around body so that the costa is more or less perpendicular to the substrate. In E.lurideola the yellow costal stripe narrows towards the forewing apex while in E.complana it remains at a constant width. 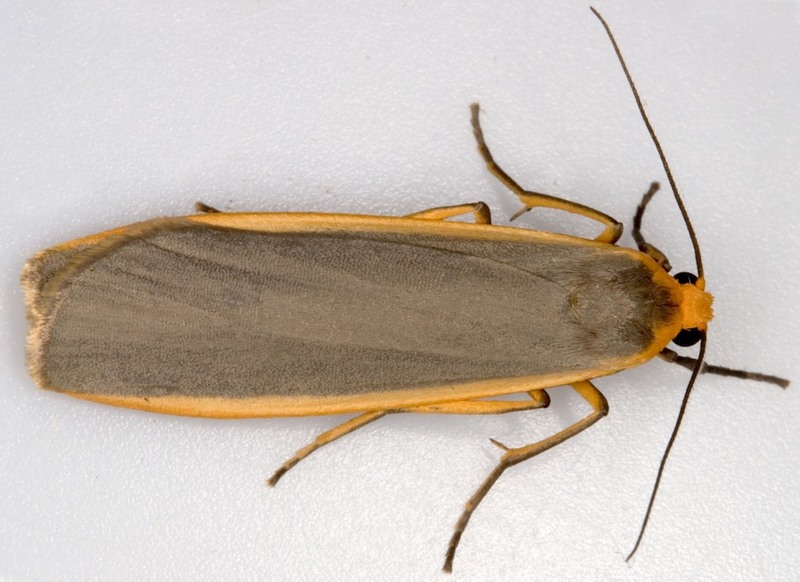 In E.complana the patagia (‘collar’) are entirely orange-yellow while in E.lurideola they are at least partly grey (concolorous with the thorax). Somewhat similar to other Eilema species, all of which usually have paler grey (or yellow) forewings with a less contrasting costal stripe and grey or whitish hindwings.